While they may not have the national spotlight, young people have been leading the way on protesting during the national anthem for quite some time. From 2016 when Colin Kaepernick first decided to remain seated for the national anthem, until today, high school and college students across the nation have also decided to express their discontent with racism and police brutality by refusing to stand during the national anthem. This past week, a small, private, all-Black high school in Maryland, Capital Christian Academy, came onto the national radar when the entire football team decided to kneel during the national anthem. Inspired by their own life experiences as well as what they have observed in society writ large, members of CCA’s football team wanted to take a stand; so the entire team knelt during the national anthem. One interesting tidbit noted by reporters is that the CCA football coach insisted that if the players wanted to demonstrate during the anthem, that they do so as a team. This kind of stipulation reflects a profound concern that is consistently reflected whenever discussions regarding the national anthem take place. Whether or not a citizen of the United States decides to participate in this nationalistic ritual is a personal decision that should not be controlled by any other person. In the same way one’s freedom of religion is respected if a person decides not to participate in a prayer, so should one’s freedom of expression in deciding not to stand during the national anthem be respected. That the narrative surrounding the national anthem and flag has been hijacked by anti-protesters is truly unfortunate. It is illogical and makes no sense whatsoever. That being said, it is positive that the CCA coach supports the players’ decision, and they do not have to be concerned about being removed from the team or being subjected to other inappropriate types of official retribution for their decision. 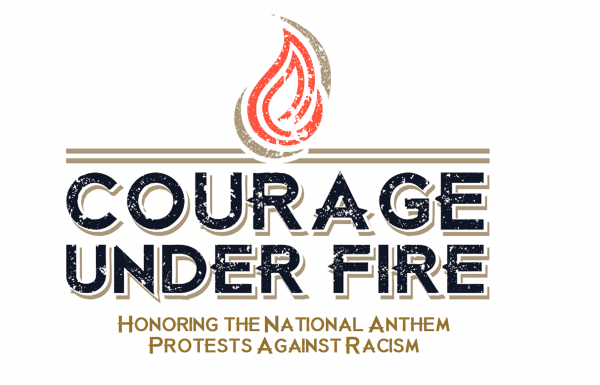 It is quite encouraging to see high school students stand firm in their convictions and display the courage that must come with refusing to stand during the national anthem in a country which detests displays of Black challenges to racism and white supremacy. Well done. Article below by Eric Ortiz at nbcnews.com. LANHAM, Md. — Football practice had ended early at Capital Christian Academy, a small all-black private school in suburban Washington, and the team’s leaders decided it was time to talk to their new coach. It was late August, and the first game of the season was just three days away.